Chinese electronics manufacturer Foxconn is to acquire accessory maker Belkin in a deal worth $866 million (£612m). Foxconn is best known as a supplier for Apple, assembling products such as the iPhone in its factories in China, and hopes the takeover will not only give it access to Belkin’s research and development (R&D) capabilities but also give it a foothold in markets such as the US. 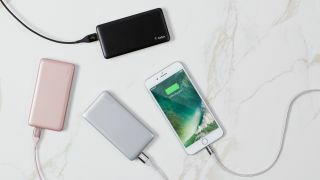 Belkin was founded in California in 2013 and its range includes staples such as phone cases and chargers, but also smart home products through its Wemo and Phyn brands. It is well known for its computer accessories too, and it sells routers and networking equipment through Linksys, which it bought from Cisco back in 2013. Belkin will continue to operate as an independent subsidiary following the takeover and Foxconn believes the deal will grow the Belkin brands too. “We see significant synergies with FIT, including leveraging its world-class manufacturing capability to enhance Belkin’s operating efficiency and competitiveness,” added Chet Pipkin, Belkin CEO and founder, who will join Foxconn’s management team once the takeover is complete.